This print is from a series of art I created based on some of my favorite lines from traditional Christian hymns. Each design has lyrics in a contemporary brush font layered over sheet music of the hymn itself. 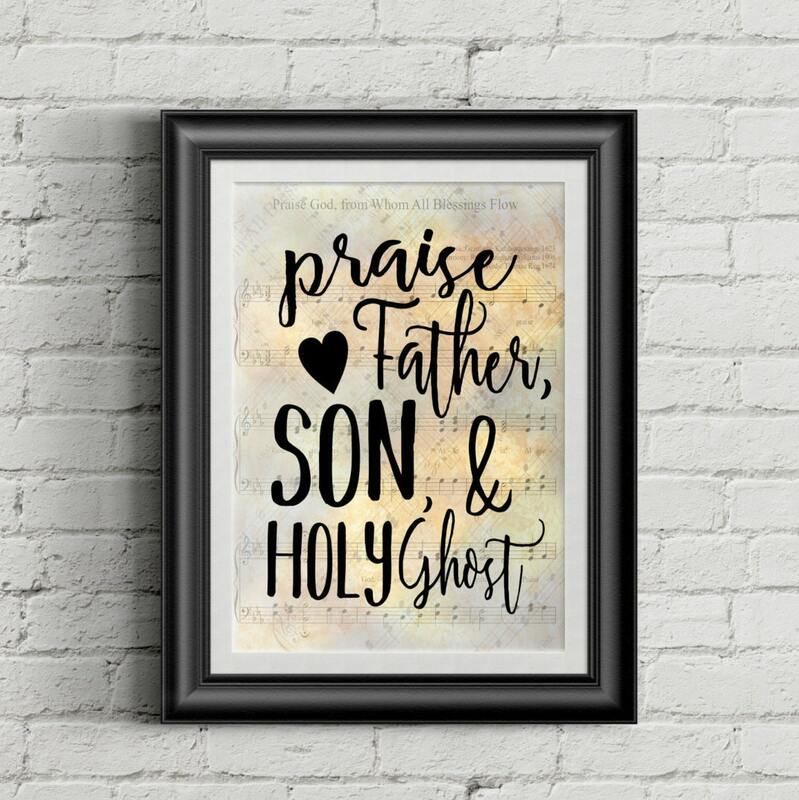 Praise Father, Son, & Holy Ghost is from the hymn Praise God From Whom All Blessings Flow.